Most technology today gives you everything you need with a touchscreen keyboard. But when it comes to writing long emails, blogging, or even keeping up with your Facebook, having a physical keyboard is the best way to go. I know it’s probably been a while since you last had to look at keyboards, so if you need a little help check out the bluetooth capable Falcon Keyboard. Keep the convenience of using your tablet and just connect your keyboard using bluetooth. Falcon Keyboard is a multi-platform keyboard that’s compatible with any Bluetooth capable tablet, smartphone, laptop or desktop computer. With it you become more efficient typing as you reduce the need to move back and forth from the keyboard to a mouse or track pad. There are some extra features, including the ability to set the keyboard for left or right hand operation, the ability to link it with up to three Bluetooth devices at once and switch between them with a two key shortcut. The keyboard is sealed with silicon rubber and uses a USB port seal to provide protection from liquid spills, dust, and dirt. You can pick up one of your own for $99. To learn more, head to http://www.amazon.com/dp/B00SWSAPYS today. Almost everything in our lives has gotten an upgrade to make every-day use easier from our cars to phone. Now it’s time to upgrade the technology in your home. Jasco Products revamps the outlets around your home for more advanced use including wireless control through Bluetooth. Jasco Products has their latest line of z-wave smart devices. The z-wave smart remotes start at $24.99 and can be picked up at ezzwave.com or most major retailers. 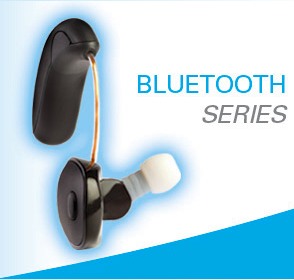 The CS50 is a personal sound amplifier and Bluetooth headset in one! You can use it straight from the box or download the free customization app on your iOS or Android device. The two buttons on the CS50 control volume and mode. The three modes are regular usage, restaurant (for a loud environment), and entertainment (for concerts or movies). For more information on the CS50, click here!